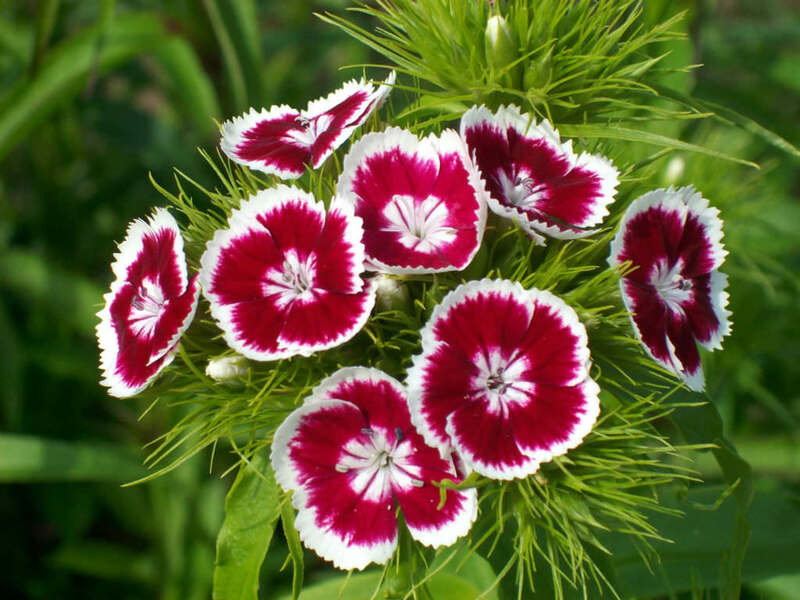 Dianthus barbatus is a herbaceous biennial or short-lived perennial plant growing up to 3 feet (90 cm) tall. The leaves are green to glaucous blue-green, tapered, up to 4 inches (10 cm) long and up to 0.8 inch (2 cm) wide. 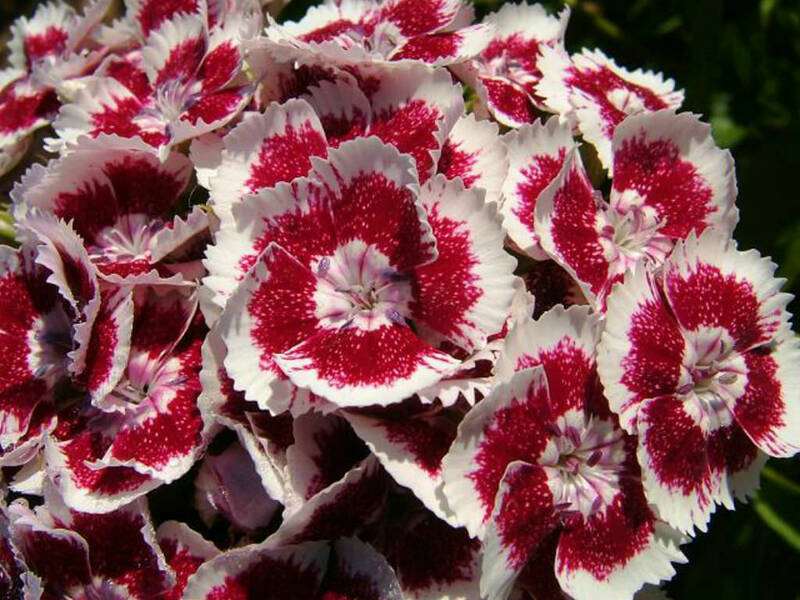 The flowers are produced in a dense cluster of up to 30 at the top of the stems and have a spicy, clove-like scent. 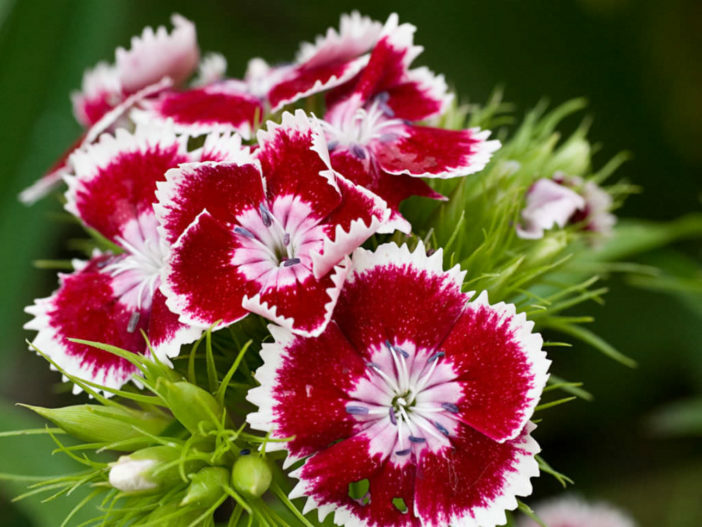 Each flower is 1.2 inches (3 cm) in diameter with five petals with serrated edges. 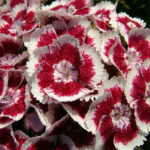 Wild plants produce red flowers with a white base, but colors in cultivars range from white, pink, red, and purple to variegated patterns. 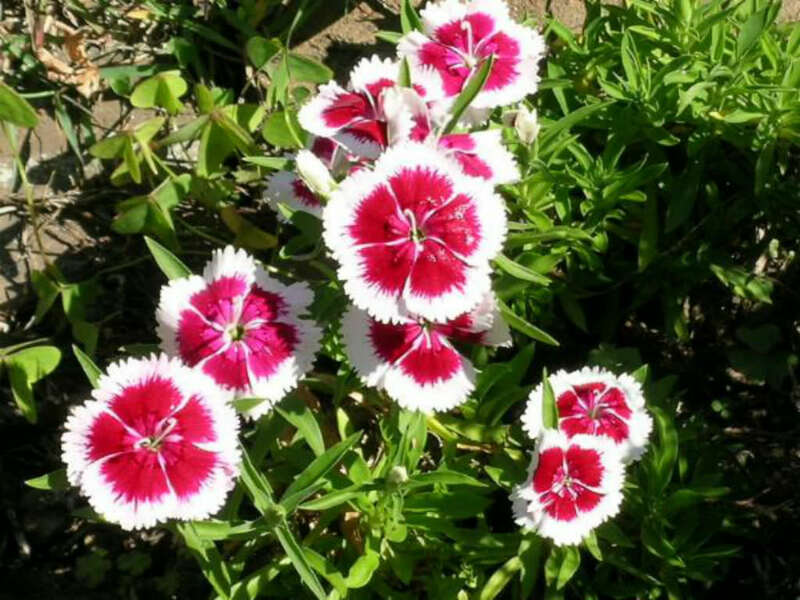 The gorgeous flowers bloom in early spring and last a long time. 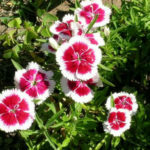 Some varieties of Dianthus are self-sowing, so deadheading is extremely important to reduce volunteer plants and to encourage additional blooming. 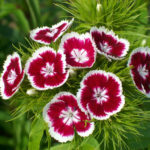 Perennial varieties are short lived and should be propagated by division, tip cuttings or even layering… – See more at: How to Grow and Care for Dianthus. Native to the mountains of southern Europe from the Pyrenees east to the Carpathians and the Balkans.